Lenses that alleviate computer vision syndrome for presbyopic (bifocal wearing) computer users. 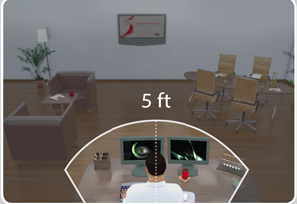 With work space and computer lenses presbyopic computer users no longer have to lift their head to see their computer. 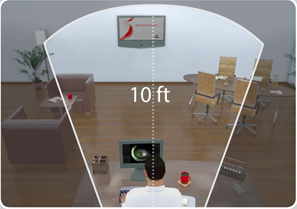 Wearers of these advanced lenses are able to hold their head in a natural comfortable position when using computer.